From the publishers: “When her college-bound daughter leaves home, Lynn Darling, widowed over a decade earlier, finds herself alone—and utterly lost, with no idea of what she wants or even who she is. 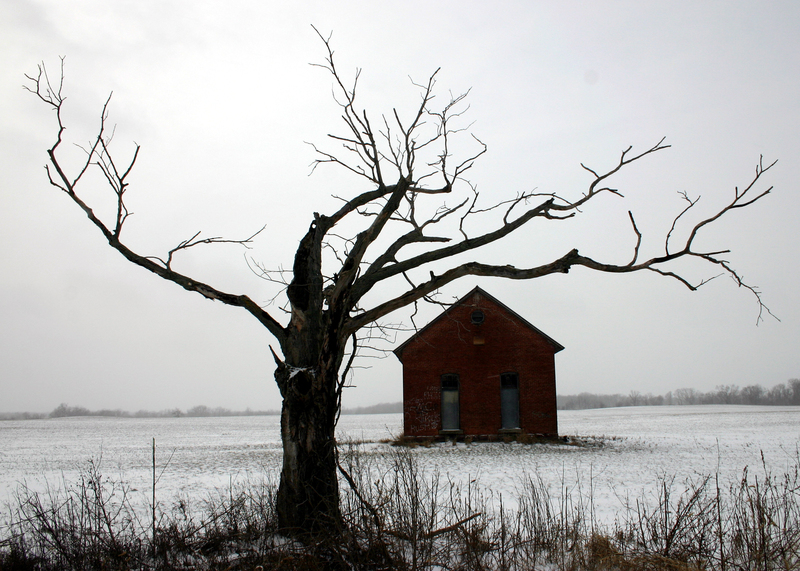 Searching for answers, she leaves New York for the solitary woods of Vermont. Removed from the familiar, cocooned in the natural world, her only companions a new dog and a compass, she hopes to develop a sense of direction—both in the woods and in her life. 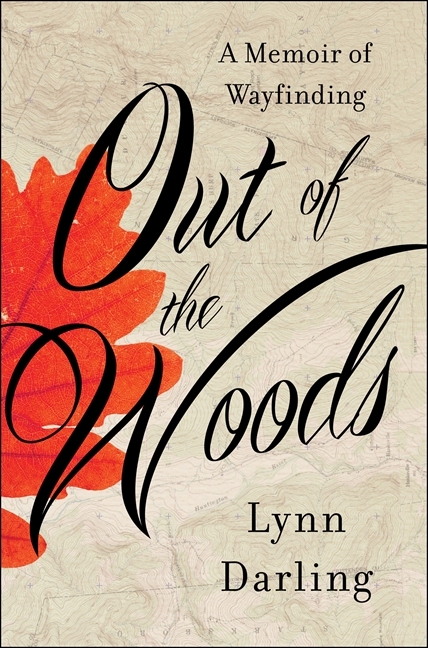 This book begins with the author moving into an isolated cottage in the woods. At the end of the book, she’s moved out again. In the time in between, she’s a bit lost. She has been a widow for years and her daughter has gone to college. To start over again, she moves to the cottage that is at the end of a dirt track. She plans to work here (she’s a journalist and writer) and make a life for herself. Things are not going well, she’s lonely and literally gets lost in the woods. She fights back by following a map reading course that also gives her insight to guide the rest of her life back to normality. The narration felt a bit distant. I never connected with the author. The reader learns a bit of her past, but generally, she remains a stranger who is lost in the woods. I admired her nerve for living so isolated and trying to cope on her own in a whole new situation. It was interesting to read about her navigation lessons and her mother’s mental degradation that is a small part of the story, too. Even though I never got to know the narrator, I still thought this was an interesting memoir about a middle-aged woman trying to get her feet back on the ground. 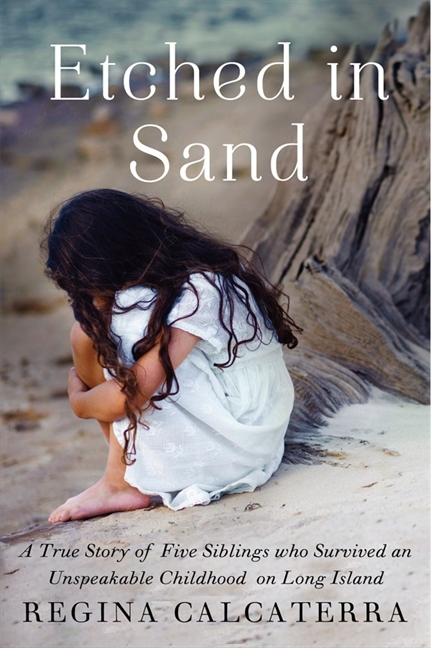 Regina Calcaterra’s emotionally powerful memoir reveals how she endured a series of foster homes and intermittent homelessness in the shadow of the Hamptons, and how she rose above her past while fighting to keep her brother and three sisters together. This is a very well-written book that I could not easily put down. The main character is the writer herself, who was part of a family with three sisters and a brother, and a neglectful mother. To make things worse, the mother took her anger out especially on Regina, so besides having to steal food in order to eat, and always being worried about people breaking in at night, she got beaten up by her mother on a regular basis. Sometimes they had to sleep in a car, other times they lived in a more or less unfurnished house. Most of the time, they didn’t have enough to eat. Calcaterra claims her mother only kept her children around her for the welfare vouchers that she’d get for them. She would disappear for weeks on end, leaving the children to fend for themselves. Eventually, Regina finds a way out and we read about her remarkable career into politics. The story tells about the problems Regina faced when they had no money for food and hardly a roof above their heads, but still very determined not to be discovered by the authorities, who would be guaranteed to take the kids into foster care, and break up their family. The children wanted to stay together whatever it took, until it became too much, even for them. As is often the case in this kind of situation, Regina had several teachers who helped her along, insisting that education was the way out for her. And so it was. This book reminded me of The Glass Castle by Jeanette Walls. However, Calcaterra is very bitter towards her mother and shows her no mercy, whereas Walls, who grew up in similar circumstances, always believed in the good of her parents. This book is popular with some of my blog friends, and it seemed like a fun book to read myself. Who couldn’t do with more friends? I hoped to be inspired in finding a new friend or two. 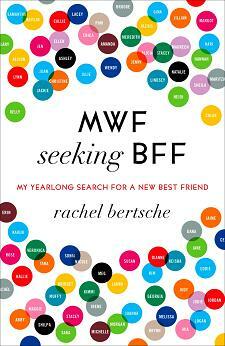 In this memoir, Rachel Bertsche is looking for new friends. She has moved from New York to Chicago and wants to find one or two best friends that she can do all the fun things with that she did with her friends from New York – friends that she has known since college. But at 29, in a job where she doesn’t meet many people, it’s hard to know where to start. She decides to “date” one woman every week for a year, and hopes that meeting 52 new people will lead to a few new friends. First she relies on friends and colleagues recommending new people to her, but later she writes an essay in the newspaper about her search for a friend that gets a lot of responses, potential new friends. Much later still, she tries online friend-dating services. She meets up with many different people and some of them “stick”, others drop off because there wasn’t a click or because they have no time for yet another friendship. I found the book inspiring in the sense that it made me reflect on my circle of friends and acquaintances. When I met a new woman the other day, and we didn’t stop chatting, I wondered if and how we could be friends. I also arranged to meet another friend, when I usually wait for her to contact me – I’m pretty poor at maintaining friend relationships. So, the book worked for me in that way. On the other hand, the stories of 52 “friend dates” – and some more of Bertsche’s life happenings around it – started to get a little stale after a while. Admittedly, some of the dates she summarizes very briefly, but overall, it was just a bit too much of the same. A chapter at the end of the book with tips to make new friends would have been nice, if only a summary of what was mentioned throughout the book. In all, I liked the book a lot for its inspirational power – it made me start to think and act upon friendship and that is useful. 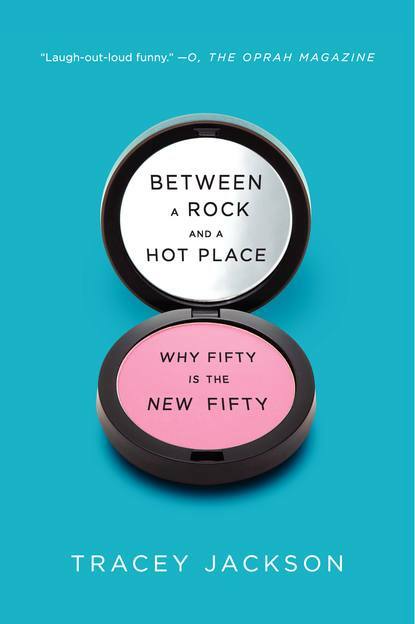 The subtitle of this book is Why Fifty is the New Fifty. In other words, fifty is not the new thirty as most people seem to think. Jackson does a good job at dispelling any such idea. Fifty most certainly is not the new thirty. And being 50 is not as much fun as being 30, but you can go some way in making something of it. As I am nearing 50, I am keen to find out from someone with some experience, what it is like to be that side of the Big 5-oh. Tracey Jackson is a comedy writer who explain in a very personal and funny way, how “her” 50 is not that of her grandmother’s but why it isn’t 30 either. I think she does a brilliant job of preparing me, the unsuspecting forty-something, for the harsh reality of being 50-something. First Jackson compares herself to her grandmother and her mother and notices how 50-somethings like her are younger looking, more active, and take better care of their bodies than the 50+ in previous generations. So far so good. But then: menopauze! Symptoms can be depression, weight gain, and much more. Time for a pill, or maybe not? And then: want a new job? Ok, but do they want you? Probably not, unless you’re already a big star in your profession. And furthermore: the children are moving out, leaving you wondering what to do with your empty nest; you need to work (hard) to keep those looks you had at 40 (botox? gym? both? ); sooner or later you will have less money (think: no job or fewer assignments, pensions); if you’re single, men your age may be looking at women who actually are in their 30s rather than just pretending; people your age start dying around you, from health issues rather than accidental causes. It sounds like a lot of misery. But: Jackson says: if you’re prepared for it, and willing to work on it, getting older doesn’t have to be all that bad. The book is written in a fun way, it gives you the very personal experience (including trial and error) of Tracey Jackson herself. In each chapter she describes one of the issues and how she learned to deal with it. I got a good insight in growing older gracefully and got some great tips! Nearer the time (i.e., my 50th birthday) I will re-read this book for sure. My preparation for turning 50 so far is: going on a diet so I won’t have Jackson’s grandma’s physique. If you’re in your 40s or 50s, you will likely enjoy this personal story of growing older.